Old friends are good for so many things; they can pick you up at the airport, be a shoulder to cry on or even give you some tough love when you’re busy feeling a little too sorry for yourself. Some embroidered pillows even propose the notion that “Friends are the chocolate chips of life”, but somehow, I have it one better than that. Since starting my food blog a few years ago, I have been blessed with a few thoughtful folks picking up truly interesting snacks for me to try. 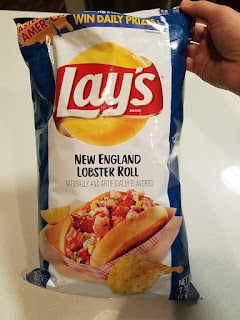 Well lightening has struck once again and a few months ago, my friend Scott who was mainly working out of Boston at the time told me that he snagged me a bag of Lay's New England Lobster Roll Potato Chips. A few years ago, I made the interesting decision to move one hour Northeast of where I used to live to Connecticut for work. And no, that doesn’t sound like a big move but it’s a little bit colder with a bit more traffic and a ton more Patriot fans to deal with. The only payout of moving out of the Mid-Atlantic and into New England is the more accessible lobster roll, which people of Connecticut are wildly obsessed with. Being candid, I am not immune to the aforementioned obsession myself. In hearing that Lay's would venture into this space, I couldn’t contain my excitement! For the sake of being authentic in my review, with my friend traveling and a few other life commitments taking up some time, it wasn’t until months later that I actually got my hands on the bag of the chips in question. 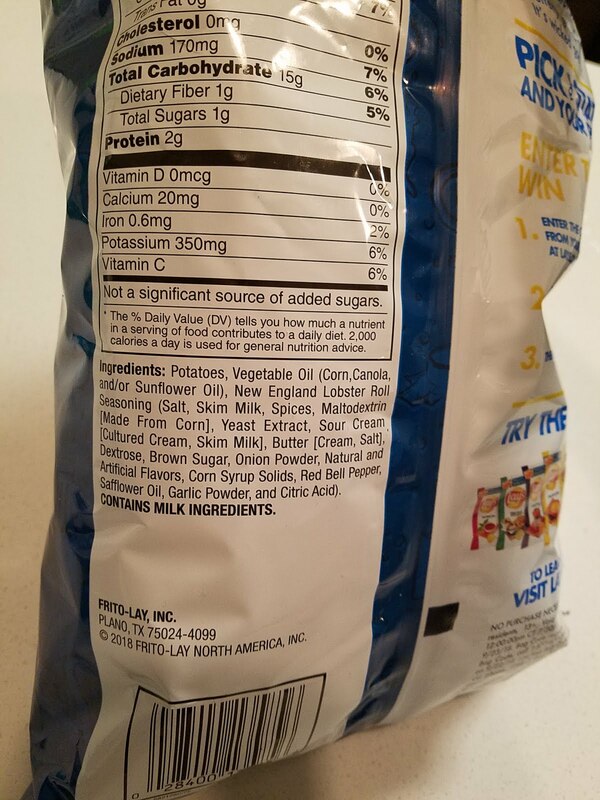 Before opening, I noticed that they were more than a month expired, but if you think that the thought of an expired large crustacean was going to be enough for me not to eat these, then I am positive that we’ve never met. In the past year, Lay's went on a campaign to pay tribute to regional flavors across America and the Lobster Roll flavored chips were originally released at the Maine Lobster Festival, making me think of a room where there were thousands of people wearing flannel with discerning palettes to whom the chips would have had to hold up their flavor for. The chips are described by the company as having the “flavor of fresh lobster served on a buttery grilled roll”. The verdict? 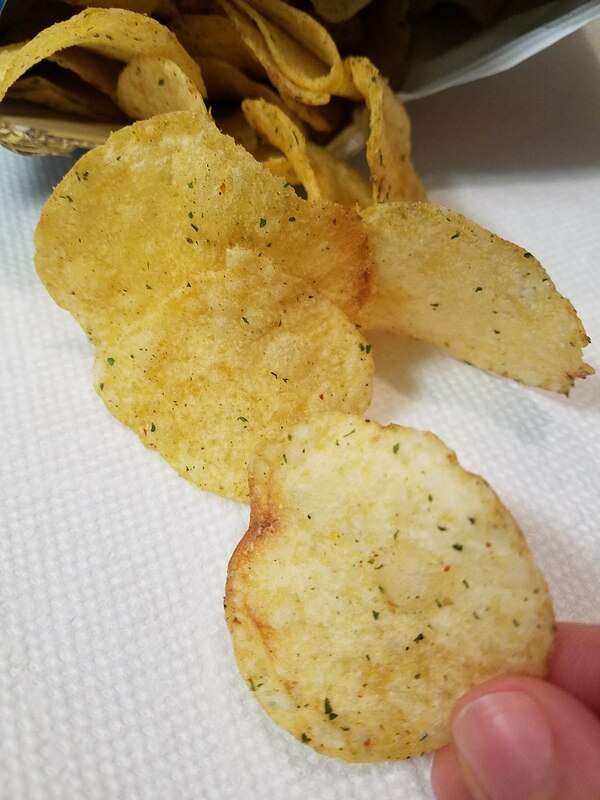 These chips rocked. 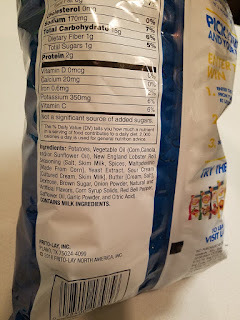 I would argue that they are predominantly sour cream and onion flavored, but reading the ingredients it’s not hard to see why - having both sour cream and onion powder as a part of the recipe. Lobster roll seasoning, rather than actual lobster is where the chips derive their flavor from, so it’s not hard to tell why this particular flavor is a bit absent. 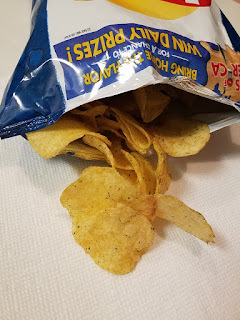 It should be said that if I had made it a point to snag these chips before they expired, perhaps they would have been a bit fishier, but I can’t say that I would have enjoyed that any more than I did. Just because these chips don’t taste quite like biting into heaps and heaps of lobster, isn’t to say that they aren’t delicious. These thick cut chips could be enjoyed by nearly anyone, independent of their obsession for the Maine based sandwich. Between the creaminess of the sour cream and the taste of butter and onion, these are chips that will always be welcome to my party. Be warned, they are highly addictive. Cheers to good friends and great chips.